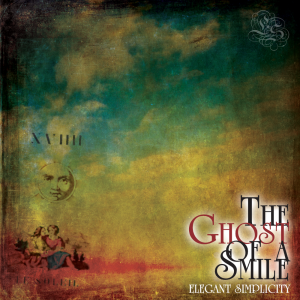 We are Elegant Simplicity, a progressive rock band, originally hailing from Leeds, UK. We were formed in 1992 by me, Steven McCabe, as a vehicle for my own compositions. Completely self-taught on guitar, piano, mandolin, flute etc my biggest inspirations come from David Gilmour, Andy Latimer, Al DiMeola, Manfred Mann and John Lees. I play Fender and Ovation guitars and use Line6 amplification. I’ve been writing songs since 1992 and when not prog-rocking out, I am database developer for one of the UKS largest companies. Our longest-serving drummer, Christopher Knight, has been playing drums since he was 9 years old and is huge fan of Terry Bozio and Phil Collins. Hailing from Newcastle, Chris is a versatile drummer and does what he is told! As for Ken Senior, our vocalist, he has been playing and singing for as long as he can remember. A supremely talented multi-instrumentalist and recording artist in his own right (as well as ex-bass player for Parallel or 90 Degrees!) Ken loves to work; playing guitar or bass in a variety of tribute bands. He even does the occasional DJ slot! If you live around the Dewsbury area of West Yorkshire, UK, you are quite likely to have seen him strutting his stuff on the stage! Ken is currently working on several CDs of solo material.